Are you hesitating to get a divorce? Worried it will spiral out of control? Take comfort in the fact you’re not alone. Divorce rates in the United States did drop to its lowest point in the past 40 years but it still equates to 16.9 divorces per for every 1,000 couples. When it comes to issues following divorce, it’s the custody for your children. There are a lot of discussions you need to go through–from where the kids should live to the school they should attend. Often, the decision to get custody shifts large sums of money through child support. There’s one irrefutable fact that you and your ex-spouse shouldn’t argue over–the right to show your children the love you both feel for them. A custody fight is often harmful to the children since they’re caught in the middle of it. Instead of fighting over, you should team up with your partner and ensure that the children continue to benefit even if your household becomes separate. As soon as you reach the decision that the divorce shouldn’t affect the children that much, you can begin solving their problems together. Regardless of your situation, work together for the sake of the children and help achieve a peaceful divorce. When you include your new boyfriend or girlfriend in the whole divorce process, you run the risk of worsening the situation. Their presence increases the tension since most people find it unfair to bring an outsider to the negotiations. It’s understandable that you want to start a new life as soon as you close the door to your past marriage, but if you want to know how to divorce amicably and successfully, this is the one thing that you need to avoid the most. As much as you can, make the situation between you and your ex-partner. Bringing outsiders to interfere with the divorce can only result in anger due to the tension. This draws out the entire divorce process longer, making both of you bitter. Most jurisdictions need divorced couples to avail mediation as early in the process as possible. What this means is that one way or another, you two will end up in mediation. With that, you might as well go through with the process to get through with it and stay compliant with most laws. A great benefit of mediation is the fact that it has a high success rate especially when you’re willing to go through it. It has a 75% resolve rate, making it one of the most standard means of resolving divorce cases. Your best bet is to schedule mediation before filing your divorce case since it allows things to get a resolution at the earliest stages of your divorce process. You can do this at any point of the divorce process, but doing it early on makes it easier for both parties involved. It minimizes the costs and lowers the stress you both feel. As long as both of you are sincere in participating in this process, mediation gives you a means of how to have an amicable divorce. If you do this, you’re ensuring that your divorce case will result in the worst case scenario. A lot of people will allow themselves to fall behind their mortgage loans to punish and spite their spouse. But doing this will punish both you and your children in the long run. Don’t be one of the people who do things to damage your ex-spouse out of spite and anger. This type of activity will never let you get the upper hand no matter how you look at it. In the end, your divorce process will draw out, have a greater cause, and result in a bigger enmity between the two of you. Ensure that all your bills get paid on time. Preserve the value of your assets together. Help each other make the divorce as amicable to benefit you both in finances. There are some disreputable attorneys out there that try increasing animosity between parties to get higher legal fees. A great attorney is the kind of professional who looks for the most beneficial solution that ensures it’s quick, cheap, and friendly for both parties. You’re the client so it falls unto you to control the case the way you like it. Make sure that you discuss matters with your lawyer on a regular basis. Look at their actions and check if it aligns with your best interests and that they put in the right effort to settle your divorce case. They need to ensure that the mediation process stays productive and avoid hostilities as often as possible. 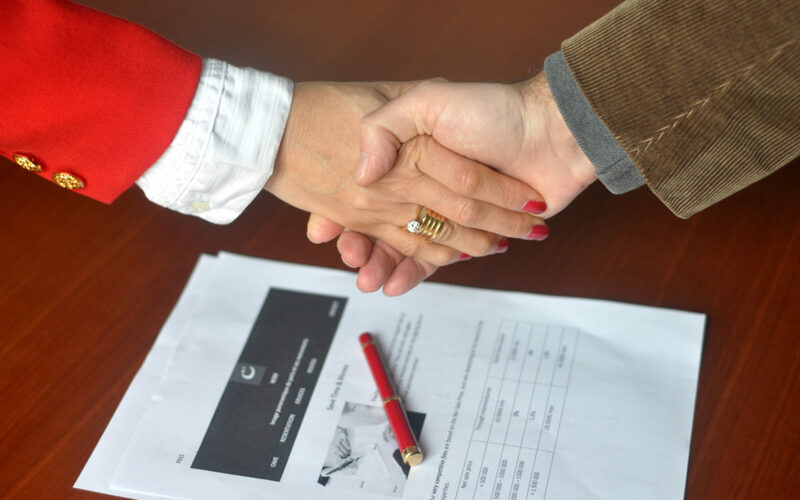 Your lawyer of choice must make it a point to negotiate mediation at the earliest point during the case. If your goals aren’t shared by your attorney, go find a new one. The ultimate goal is to get a great divorce that ends on a positive note. Get an Amicable Divorce Today! In most divorce cases, the outcome depends on the lawyer you get to facilitate the process. It’s important to follow all of these tips to ensure that the situation before, during, and after the process remains positive. An amicable divorce is a goal you should strive towards no matter how bitter or messed up the scenario that led to this decision. No matter what you do, always think about your children. They’re affected the most especially if they’re not yet old enough to fend for themselves. Do you need a lawyer with your best interests in mind? Contact us today and we’ll help you get a peaceful divorce.